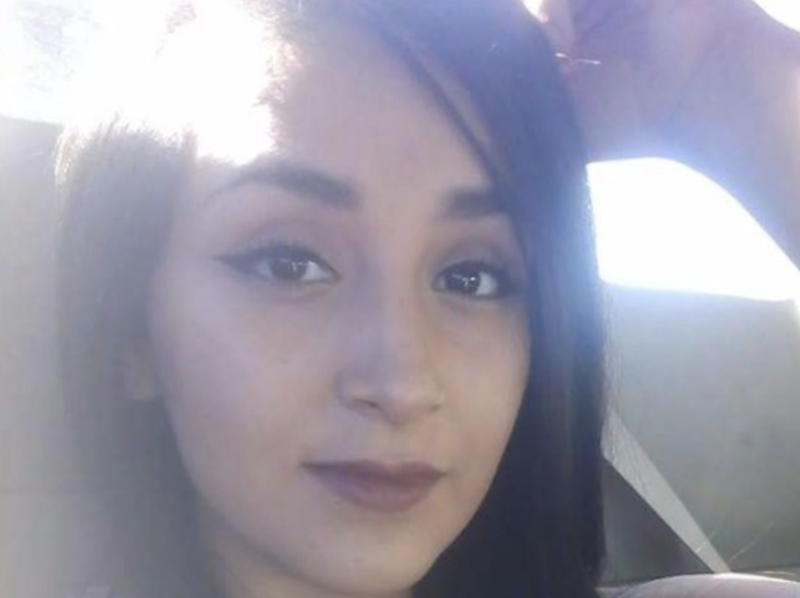 Family members of Alani "Joie" Murrieta are warning the public to take the flu seriously after the 20-year-old mother of two died unexpectedly last week — just one day after getting the diagnosis. The death of the Phoenix, Arizona, woman came as a shock to her family, who said she had always been healthy. "Don't take life for granted. If you feel sick, go to the doctor. Don't wait until your symptoms are so bad there is no turning back," Murrieta's aunt, Stephanie Gonzales, told CBS News. "Know your body." Murrieta was sent home early from work on Sunday, Nov. 26, because she wasn't feeling well. On Monday, she went to a nearby urgent care. After waiting there for a few hours, they told her she had the flu and prescribed Tamiflu, an anti-viral medication. No one was surprised to hear Murrieta had the flu. Both of her children were sick earlier in the week. "We were all together for Thanksgiving and the little kids got sick, then the adults got sick," Gonzalez explained. "It traveled through our family. Everybody kind of got over it. Everybody was fine." Like everyone else in her family, Murrieta thought she could sleep it off. But early Tuesday morning, her health took a turn for the worse. She was coughing uncontrollably and, at one point, she coughed up blood. "She looked worried. She told her mom she was having a hard time breathing," Gonzalez said. Murrieta's mom rushed her to Banner Estrella Medical Center, where she was diagnosed with pneumonia. "Her oxygen levels were low," Gonzalez described. "They did an X-ray and found out her flu had turned into pneumonia. They gave her antibiotics and an IV drip." "Get here now. It's bad," Gonzalez recalls the text Murrieta's mom sent her around noon that day. By the time Gonzalez arrived at the hospital, Murrieta's health had deteriorated. She was placed on a ventilator, and then her heart stopped. As doctors started chest compressions, Gonzalez, who was in the room with Murrieta's mom at the time, recalls chanting, "Fight! Fight! Fight! Fight for the boys." But doctors told them there was nothing more they could do. "She was gone," Gonzalez said. "We just couldn't believe it. We were in shock." Murrieta did not get a flu shot, Gonzales said, but her doctors said there is no way of knowing whether that would have made a difference. Health officials say this year's flu shot does not appear to be a good match for the virus. It was only about 10 percent effective during the recent flu season in Australia, which typically sets a pattern for what the U.S. will face. However, they still encourage everyone to get the shot, since it offers some protection and can reduce the severity of symptoms if you do get sick. According to the Centers for Disease Control and Prevention (CDC), more than 7,000 cases of influenza have been confirmed in the U.S. so far this fall, which is more than double the number this time last year. Over the last 40 years, flu-related deaths have ranged from a low of about 3,000 a year to a high of about 49,000 in bad flu seasons. Murrieta's aunt seemed stunned by how quickly the illness turned deadly. "I wonder what was she feeling. How did she feel when she started having a hard time breathing? We'll never have answers," Gonzalez said. "By the time I got to her she wasn't able to talk anymore." The family has set up a GoFundMe account to raise money for funeral expenses. So far, it has raised nearly $17,000. "I never thought I'd be making arrangements for her funeral," Gonzalez said. "We're so overwhelmed. We cannot believe her story has touched and reached so many people. We are truly amazed."